Some days I feel on top of it all; I’m cooking a nutritious healthy meal for us all, making pack ups and helping with homework projects after spending the day doing laundry, work and having a quick coffee with a friend. Other days, I simply do not feel ready to adult. There is so much to remember as an adult, let alone as a Mother, where the weight of the family falls on me. I have to remember EVERYTHING and sometimes, it’s just not possible. Sometimes I forget the BIG things in life. Over the years though, I’ve put my attention onto sorting out some very adult tasks. And now I feel like I’m winning at parenting. Well, most days, but I guess no level of organisation and planning can prepare you for a 6 year old’s mood swings. So what are these BIG tasks I speak of? 1. Making a will. Now I’m not going to sugar coat it, as we still aren’t home owners, I don’t have much to leave to anyone. However, I still have everything to me that I would leave behind. My children. Without a will, my children could be left with anyone and possible arguments could occur. As I didn’t have much to leave, I ordered this DIY will kit from Amazon. However, if you have any investments, savings or property, then I would recommend seeing an estate planner. For me, I feel reassured that I have broken down what situations and where I would like the boys to go if something was to happen to my husband and I. 2. Sorting out life insurance and a pension. These are two other important things to sort. It isn’t nice to think of the worst case scenarios, but sometimes we have to in order to make sure those we leave behind will be financially stable. I got life insurance when I first had my eldest for me and my husband. We now know that if we were to die, the boys would get something for their future. It’s that reassurance that we’ve got them covered. Again, if you find this sort of life stuff scary and overwhelming, seek advice from an advisor. My friend Kimberley is a mortgage and estate planner- here’s her link to her Facebook page. 3. A monthly money budget. I don’t know what I would do without my money budget. Each month, I write down on a budget book that I made myself, our income and our outgoings. I then write down on a piece of paper what I have allocated for what bills, monthly payments and rent have been accounted for, for EG I’d have say £50 to get something for the house that’s needed, or £50 towards my son’s birthday that I’ll add more to next month. I can then subtract my receipts from these figures as the month goes on, so I know when to stop spending or how much I’ve got reserved for something. This honestly is what keeps my finances in check. I really recommend doing this. This budget planner from Amazon is a great start to tracking your money and creating a budget. 4. Savings. Although I have an ISA, what I really need to do is get a help to buy one. Having savings, no matter how big or small, is great for those emergency situations like when the washing machine breaks! Or last year we had an expensive year, so we did eat into it a little, however this year we’re hoping to pay ourselves back. Still, I dread to think what could have happened if we hadn’t have been saving before! The other thing I will be making sure of too, is that I teach my children to be sensible with money. At the moment we are slowly starting to introduce pocket money. My hopes for this are both to teach them that they have to earn their pennies through chores but also that if they want a certain toy with their pocket money, that they have to save up for it. As they grow older, I will teach them how important it is to save and not just splurge once they get any cash too! 5. Housework schedule. Create a housework schedule that works for your family. There are tons of other schedules that you could copy or recreate, but think about your own home and lifestyle. Maybe you work full time or part time and you can only realistically cram the housework into one day a week? Or maybe if you are a stay at home Mum, you may only be able to squeeze in some small amounts based around what you’re child is up to. For me, I used to get it over and done with within 2 days, or if not a day. I found, though, that the housework wasn’t ever kept ‘on top’ of. So last year, I reinvented my housework schedule and now I focus on 1-2 rooms a day which usually only roughly takes half an hour a day up for the cleaning. Then of course, there is laundry and general household chores to do each day. But by doing this new method, it’s easier to manage, it’s in bite size chunks and I find that the house stays in a great condition all week long. If you want more ideas on housework schedules then follow my Instagram as I often do video stories and post housework tips on there. 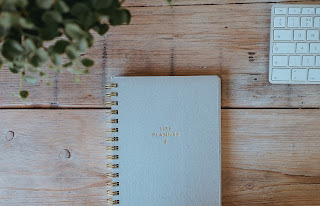 I will dedicate a blog post entirely on housework schedules later this year, but for now, have a think about creating one that suits you and try to stick to it as best you can. This handy planner from Paperchase will have you covered all year long. 6. Meal Planner. This is another must in our household. No longer do we ‘wing it’ with what’s for dinner each night, we plan ahead. Not only does this save us time and indecisiveness each day, but it saves money. We shop online too, which massively helps keep costs down and resists the temptations of the aisles. Sainsburys have a handy meal planner here. Read my blog post on my meal time mayhem and how I tried to resolve it. 7. Things I wish I was taught when I was younger. One thing that stands out for me, is that I was never taught certain things which would have come in really important when I became a young adult. One was cooking, the other sewing. But, there are tons of other things that are missed off the main curriculum nowadays. I am very fortunate that my Mum sews and has taught me how to, but there are still things I want to learn, like repairing jeans and taking up trousers. I have also taken up cooking quite well since having the boys. So, as the boys grow older I will make sure that they know how to do things and my husband is great at engineering and anything DIY, so he can pass on those skills. 8. Reward charts. This falls under the category of ‘My Children’s Future’ because how we act now as parents and as a family, will determine how children act as they grow older. Therefore, if you are concerned about your children’s behaviour, or how you should be discipling them, try a reward chart. Read my blog post on ‘Reward Charts’ here. 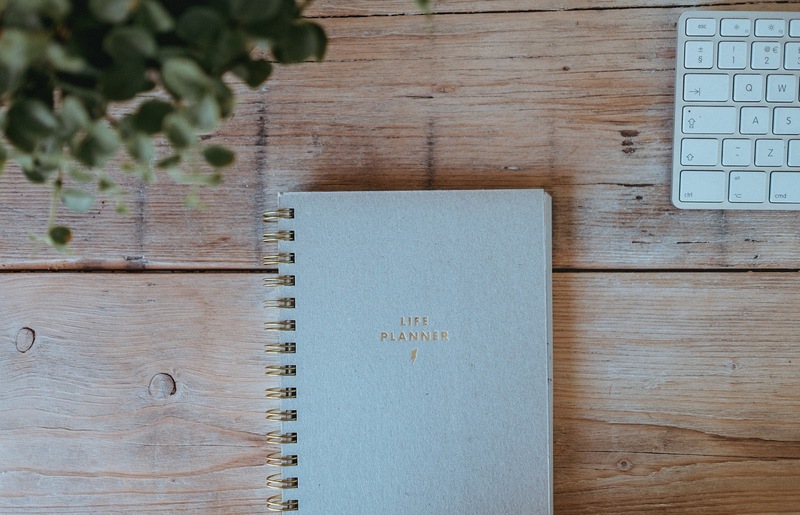 I hope that these 8 things have given you some ideas on what you can organise now for not only your future, but to help keep family life simple, more organised and easier now. Sometimes the big things in life seem scary, but if we break them down and tackle one task at a time, it can become manageable and soon you can be feeling smug, sipping on a cuppa whilst watching re runs of Paw Patrol.